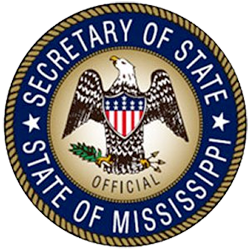 Beginning with the June 3, 2014, Primary Election, individuals voting in Mississippi were required to show a photo ID at the polls. With this new law, Mississippi’s Secretary of State, Delbert Hosemann, was seeking to educate the public that first, they would need a valid photo ID to vote, and second, what the acceptable forms of photo ID are and how/where to get one. The Secretary enlisted the expertise of The Cirlot Agency to help with this important public information issue. Self-deprecating humor is a universal method of positioning oneself as likeable and trustworthy. Throughout his political career, Secretary of State Delbert Hosemann has branded himself as such a person. Considering the need for mass appeal in educating the public about the new Photo Voter ID law, The Cirlot Agency’s strategy was to capitalize on Sec. Hosemann’s personal brand in two public service announcements that were to air throughout the state. As the main audience was those who are older and no longer have a form of photo ID, the strategy was to have the Secretary interact with such people in an endearing and humorous way. Though they feature older voters, the spots were also designed to appeal to younger voters through their charming, quirky humor. For the June 3, 2014, Primary Election, out of 404,761 total ballots cast, only 305 affidavit ballots were cast for lack of a photo ID. That means a remarkable 99.9% of voters presented valid photo IDs at the polls. This is a tremendous accomplishment, due in part to the success of the commercials, for the implementation of a statewide voting requirement. As further confirmation of the success of the campaign, Sec. Hosemann was asked to co-chair the Standing Committee on Voter Participation for the National Association of Secretaries of State (NASS). The PSAs also won two national Telly Awards, which honor the best in film and video production.